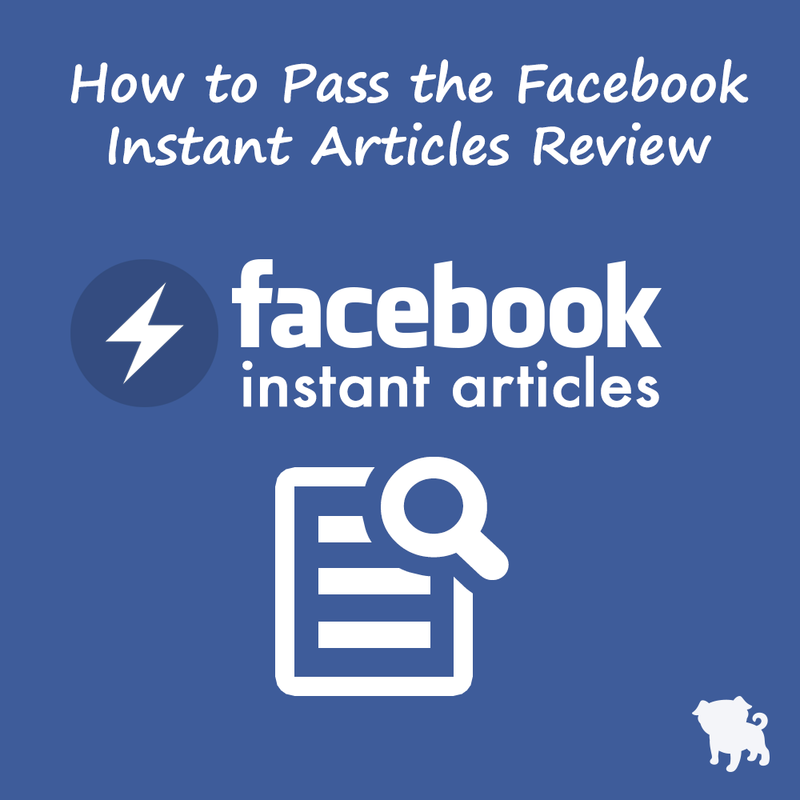 Want to breeze through the Facebook Instant Articles review process? This post gives you all of the info that you are going to need. So let’s get started. 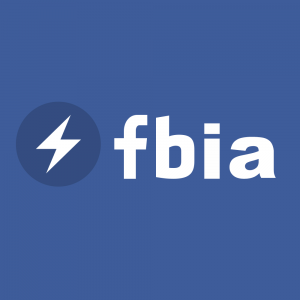 If you aren’t already familiar with it, Facebook Instant Articles (FBIA) is basically a feed reader that lives inside of the Facebook mobile app. You create a Facebook Instant Articles feed and Facebook pulls it in so that your content can be shown to the user within the Facebook mobile app. This provides a better user experience, is faster and creates less load on your servers. Facebook lets you run your own ads within your Instant Articles (Facebook Instant Article Adsyou can do this with AdPlugg) or you can choose to have Facebook Audience Network ads automatically inserted. There are a number of steps involved with setting up your FBIA feed and submitting it. For this post we are going to assume that you are using WordPress. If you aren’t using WordPress, check out our Facebook Instant Article Ads for Any Site post for setup instructions (the info here will still apply to the review process). Write and publish at least 5 articles (posts). Install the Instant Articles plugin for WP plugin. In the WordPress admin, click on the “Instant Articles” menu item in the left sidebar. Follow the onscreen instructions. It will have you log into Facebook and connect to your Facebook “Page”. Click on the arrow in the top right, and then click on your page. In the bar across the top, click on “Publishing Tools”. In the left hand menu, under Instant Articles, click on “Configuration”. Now in the middle of the screen you should be able to see a three step process, with the following steps. Step 1: Set Up Instant Articles – This should already be completed. Step 2: Submit for Review – There may be a button here asking you to submit. If so, you can go ahead and click it. 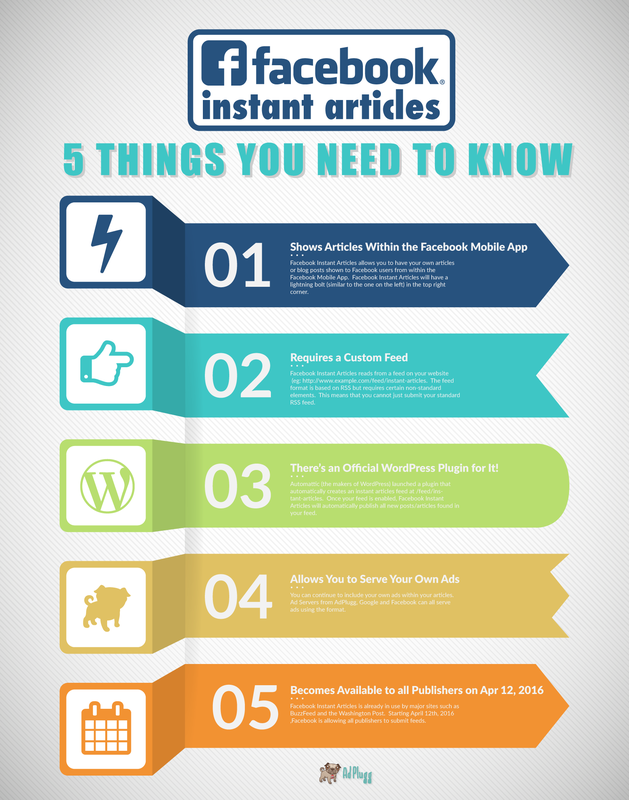 Step 3: Start Publishing Instant Articles – We’ll get to this in a bit. After submitting your feed for review (step 2 above), you will need to check back periodically to see if you’ve been approved (at this point you don’t receive a notification but they will probably add this eventually). Note: It can take 1-3 business days before your feed is reviewed and its status is updated. When we submitted the feed for the AdPlugg blog, we came back one day later and there was a message indicating that there was an issue with our feed. The issue was related to our use of WordPress Smilies. Facebook didn’t know what to do with these. Since they weren’t important, we just removed them. If Facebook rejects your submission based on something that you need to keep, you can keep them or omit them (from the feed only) by defining a Transformer Rule. If you have issues, fix them, press the resubmit button and wait again for approval. Once you have been approved, you can publish your articles. First however, it’s a good idea to review them using the Facebook Pages Manager app. The Facebook Pages Manager app is available for iOS and Android. Just search for “Facebook Pages Manager” inside the App Store or Google Play and you should be able to find it pretty quickly. Open the Facebook Pages Manager app on your iOS or Android device (note: if you have the regular Facebook app, you should automatically be logged in). Click the ellipses (three dots) icon in the bottom right. Scroll down and under “SECTIONS”, click on “Instant Articles”. From there you should be able to see all of your instant articles. Click into them to review each one individually. In the left hand menu, under Instant Articles, click on “Production Articles”. Click the checkbox next to the articles that you want to publish or click the checkbox in the header row to publish all articles. In the Actions drop down menu, click Publish. That’s it. You should now have articles published to Facebook Instant Articles. Please see our Facebook Instant Article Ads post if you want to include ads in your instant articles. For more information regarding the Facebook Instant Article review process, check out the official docs from Facebook here. Have a question or see something that we missed? Please post to the comments section below. FBIA (Facebook Instant Articles) is a new system from Facebook that offers publishers a number of benefits over traditional mobile browsing. But there are also some negative aspects to it. In this blog post, we are going to be going over the 5 key benefits of FBIA. We’ll also be presenting the 3 primary negative aspects of FBIA. These benefits and negative aspects are all from the publisher’s perspective. AdPlugg integrates with FBIA and we’ve talked with a large number of publishers about their experiences and concerns with the platform. This has given us a great deal of insight into the pros and cons that publishers are weighing when making a decision as to how to proceed with the FBIA platform. Articles that are served by FBIA have a little lightning bolt shown over their featured image (see the image above for an example of what it looks like). As users get more familiar with the benefits of FBIA, they may start to notice (and watch for) the lightning bolt. Articles with the lightning bolt will likely get more clicks and reads over time as the user will know that the article will provide them with a fast and consistent experience (as described below). FBIA is up to 10 times faster than mobile web browsing. FBIA is faster because the content is shown in the Facebook app without having to load and render your whole website. FBIA also caches and pre-loads your article’s content. You can learn more about FBIA speed in our recent post Why Is Facebook Instant Articles Faster?. By providing your users with a faster user experience, they will be more likely to read your articles. This goes along with Benefit 1 above – articles that have the lightning bolt will be known by the user to be faster. For many users, articles served by FBIA provide a better user experience. This is in part due to their speed (as mentioned above) but also is due to the article being presented in a familiar interface that is simple and easy to navigate. Facebook Instant Articles allows publishers to “brand” the presentation with their logo, colors, etc but the navigation, etc remain consistent across all publishers. This is in sharp contrast to articles that go to a third-party site that might have unusual navigation, issues with the user’s device, etc. In regards to advertising, Facebook limits the ad density of the article and restricts ads from popping up and doing things that some users might find annoying. While this may have negative effects for the publisher (see below), it results in a more consistent experience for the user. Again, as users become more familiar with the lightning bolt – they will recognize it as a symbol of a consistent, simple, and familiar user experience. FBIA works like an RSS feed reader. Instead of each user accessing your website – resulting in the download of html, css, js, images, etc – FBIA just pulls your article content and images from your feed. Often the content is only pulled once per article instead of potentially millions of times (once for each reader). This results in a much lower hosting cost for the publisher as you have considerably less data and files to serve. Facebook has a massive infrastructure and a huge team of engineers working 24/7 to ensure that their systems are up and available. If your site goes down on a Saturday night, how long will it take to get it back up? How many engineers do you have working on Saturday nights? With Facebook’s reported 99.9% uptime, your articles will likely have better availability on FBIA. While there are a lot of benefits for publishers that use FBIA, there are also some negative aspects. FBIA offers a lot of flexibility when it comes to advertising with one major caveat: FBIA only allows you to serve network ads from the Facebook Audience Network. So while you can use a service like AdPlugg to serve your own directly sold ads, you can’t serve ads from a third party ad network such as Google AdSense into your FBIA feed. For publishers already selling ad space directly to advertisers, this may not be a big deal. However, if you rely on third party ad networks, this could be a major hangup for you. You can read more about what kinds of ads you are allowed to serve into your FBIA feed on the FBIA Terms of Service page. As mentioned above, Facebook restricts the number of ads and the format of ads that can be served into Facebook Instant Articles. While this can result in a better experience for the user, it can have negative ramifications for the publisher. By limiting the number of ads that you can serve, publishers may take a hit in how much revenue they can generate per article. Some ad formats perform better than others. And because of this, publishers are able to charge a premium for the high performing formats. By not allowing high performing formats such as popup ads (which have been proven to have above an average click through rate), publishers are going to be again put into a situation where they can no longer earn as much per article. When deciding “Should I use Facebook Instant Articles” the publisher needs to weigh the pros and cons. This article should help serve as a good reference and starting point for what the major benefits and negative aspects of FBIA are. Have a benefit or negative aspect of FBIA that we’ve missed, please post it to the comments sections below. 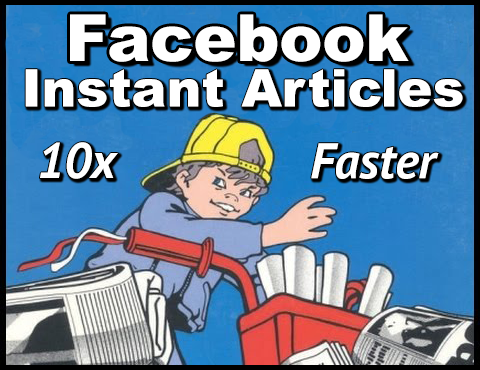 Why Is Facebook Instant Articles Faster? Facebook Instant Articles is a new feature built into the Facebook mobile app. It allows users to view articles from third party sources at blazingly fast speeds. But how can that be? What makes Facebook Instant Articles faster? With the launch of Instant Articles, Facebook claimed that Instant Articles load 10 times as fast as mobile web content, thereby creating a better user experience. The Wall Street Journal reported that, according to tests done by Catchpoint Systems, Facebook’s claim held true: the average load time for Instant Articles was between 0 and 300 milliseconds, compared with 3.66 seconds for similar articles on news publishers’ websites. So how does it work? What makes Facebook Instant Articles so fast? Facebook Instant Articles eliminates the need to download and render numbers 1 through 3 in the above list. What happens is, Facebook Instant Articles retrieves the article content and article images using what is very similar to a traditional RSS feed. It then renders the article content within the Facebook app. The article content and images are really all that is needed for reading the article but the traditional method requires that tons of other user interface data come down with it. So Facebook Instant Articles needs to download significantly fewer assets – and the assets that it does need to download (article content and images), are some of the smallest of the full set needed to render the article in a browser. Since the article is being displayed in Facebook app, you don’t need to render complicated web layouts, navigation, etc in order to view it. The Facebook app can just render the article content and images within the Instant Articles reader and you can start reading. Facebook Instant Articles preloads articles. Instead of waiting until you’ve clicked a link, the Facebook app will preload the start of each article before you’ve even reached it in your news feed. This way, the article can be shown almost “instantly” after you’ve clicked the link (and hence the name “Instant Articles”). The downside that publishers are concerned about is that the user is never actually taken to the publisher’s site. The main reason why publishers want this is for advertising. Facebook has addressed this concern by allowing publishers to continue to serve their own ads within their Facebook Instant Articles. And you guessed it, AdPlugg integrates with Instant Articles! Check out our post about Facebook Instant Article Ads to learn more. Have a question, or something to contribute, let us know in the comment section below. 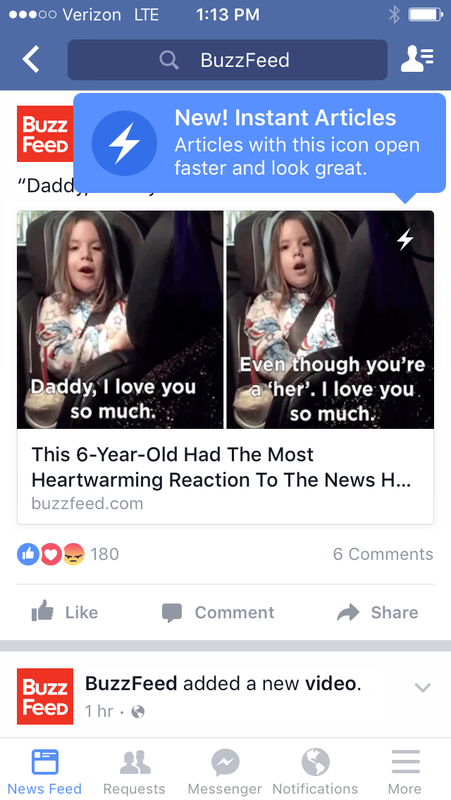 AdPlugg just launched support for Facebook Instant Article Ads. In last week’s post, Facebook Instant Articles: 5 Things You Need to Know, we talked about what Facebook Instant Articles is and what it means for publishers. We also mentioned that AdPlugg was going to be supporting it and allowing you to serve your AdPlugg ads into your Facebook Instant Articles. 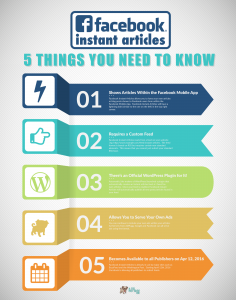 First you’ll want to install the Facebook Instant Articles for WP plugin. This is the official Facebook Instant Articles plugin from Automattic, the makers of WordPress. This plugin is great but is pretty barebones: it doesn’t (at this point) have any settings available via the WordPress admin. But what it does, and it does very well, is create a Facebook Instant Articles Feed. Once you’ve installed and activated the plugin, you should be able to go to http://www.yoursite.com/feed/instant-articles and see a feed ready for Facebook to ingest. In Version 1.3 of the AdPlugg WordPress Ad Plugin we’ve added the ability to insert ad tags into your Facebook Instant Articles feed. If you don’t already have one, create an account at adplugg.com. Next upload the ads that you want to include in your feed. AdPlugg allows you to upload virtually any kind of ad that you want. This includes image ads, text ads, HTML5 ads, etc. I’d recommend that you create some AdPlugg Ad Zones that are specifically for your Facebook Instant Article ads. You could call them something like “fb-zone-1” and “fb-zone-2”. Once you’ve created your zones, target your ads to them directly or via an AdPlugg Placement. Log in to the WordPress administrator. Click AdPlugg in the left menu and then click Facebook to go to the new AdPlugg Facebook settings page. Check the “Automatic Placement” checkbox. This will enable the feature and create a new Widget Area called “Facebook Instant Articles Ads”. Go to Appearance and then Widgets. You should now be able to see the Facebook Instant Articles Ads widget area. Drag and drop the AdPlugg Widget into the Widget Area. Configure the Widget by giving it a Zone machine name, width and height. In the WordPress administrator, click Instant Articles in the left menu. Scroll down to the Ads section. Under Ad Type, choose AdPlugg. Scroll to the bottom of the page and press the “Save changes” button. Check your feed at /feeds/instant-articles – it should now include your AdPlugg ads! Feel free to add more ads, rotation, scheduling etc, from the settings available from your account at adplugg.com! Note: it’s best to limit each of your Facebook Instant Articles Zones to only show one ad at a time (you can do this via the Max Ad Count field in the Zone settings). Log into your Facebook account and go to your Facebook Page. Starting April 12th, 2016, there will be a link there to the Facebook Instant Articles program signup page. If you aren’t using WordPress, you can still serve AdPlugg ads into your Facebook Instant Articles feed. To do so, edit the code that generates your feed and add the following tags to the <header> section. Change the access code, zone names and sizes in the code above to match your account and requirements. 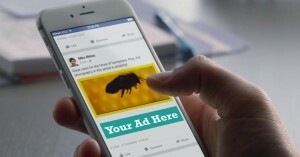 AdPlugg makes it easy to serve, manage and track your Facebook Instant Article ads. If you have any questions, comments or suggestions; add them to the comments section below! Facebook Instant Articles is a new feature for web publishers from Facebook. Here’s a run down of the 5 things that you need to know. Traditionally, when a user clicked an article that you posted to your Facebook page, they would go to your website to view the article. With Facebook Instant Articles, when a user clicks on one of your articles from within the Facebook Mobile App, they are shown the article within the Facebook Mobile App. Works on iPhone and Android devices. Is up to 10 times faster than content served through a mobile browser (Facebook accomplishes this by buffering the content before the user clicks it and by not having to render your site, just the article content). The Facebook App shows a small lightning bolt icon in the top right of the article’s featured image if the article is available via Instant Articles. Desktop and browser (non app) users will continue to be directed to your website. Rather than submitting your articles to Facebook, with Facebook Instant Articles, Facebook will regularly pull your feed and automatically add new articles to your Facebook page. The Instant Articles Feed format is based on RSS but requires certain non-standard elements (a standard RSS feed won’t work). 3. There’s a WordPress Plugin For It! A couple of weeks ago (March 7th, 2016), Automattic, the makers of WordPress launched a new Plugin called Facebook Instant Articles for WP. This plugin adds a special feed at /feed/instant-articles. You can submit this feed “endpoint” to Facebook when you enroll in Facebook’s Instant Articles program. You will need to install a special plugin (such as Facebook Instant Articles for WP) to add Facebook Instant Article support to your WordPress site. Other CMS systems will likely have their own Facebook Instant Articles plugins. If you have any info about these, please post it to the comment section below. Facebook wants to make Instant Articles a win for Facebook, its mobile app users and for the publishers generating the content. For this reason, they allow you to include your own ads within your feed. You can serve your own ads within the articles that you submit to Facebook Instant Articles. Ads need to be submitted through your Instant Articles feed in a special format. You can distribute your ad “tags” manually throughout your feed content or place your ad tags in the header to have Facebook place them throughout the article automatically. AdPlugg is currently adding support for Facebook Instant Article feeds and intends to fully support them by the time Facebook launches the feature (see below for the release date). If you don’t have your own ads, you can optionally choose to serve Facebook Audience Network ads within your articles. There are some restrictions regarding the type of ad and the “ad density” (number of ads that you can display). See the official documentation for more info. Some of the publishers already using Facebook Instant Articles have complained about ad revenue issues. Facebook is working to address those concerns. 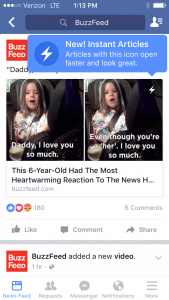 Facebook Instant Articles is already in use by major publishers such as BuzzFeed and the Washington Post. On April 12th, 2016 Facebook Instant Articles becomes available to all publishers. Open the Facebook app on your Android or iOS device. Use the built in search to find and pull the official page for BuzzFeed or the Washington Post. Click on any of the articles that have a lightning bolt in the top right corner of the article’s featured image. Enjoy the lightning fast load time :). Facebook Instant Articles is an exciting new feature that provides an enhanced experience for the user while allowing publishers to gain exposure and grow ad revenues. AdPlugg is adding support for Facebook Instant Articles as we speak and we are tying the functionality into our WordPress Ad Plugin. If you have any questions or comments about Facebook Instant Articles, AdPlugg’s support for them, or anything else; please post them to to the comments section below! Infographic template design by Freepik.